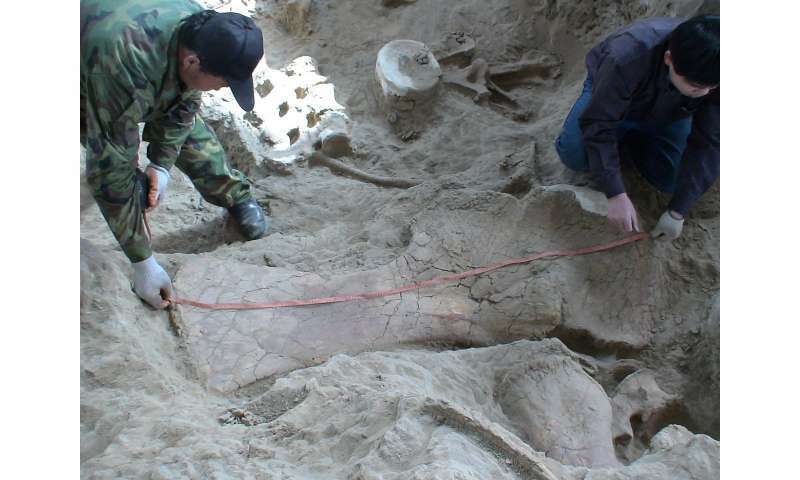 A team of researchers from China and the U.K. has unearthed the remains of the earliest diplodocoid ever found in eastern Asia. In their paper published in the journal Nature Communications, the group describes the place where the fossil was found and what the find revealed about the history of the large dinosaurs. Prior evidence has suggested that millions of years ago, the continents were just one supercontinent, which scientists have named Pangaea. Prior evidence has also shown that dinosaurs were living in Pangaea, but researchers suspect that a large inland sea had cut off parts of what would later become eastern Asia. The evidence for this is the absence of diplodocids, a species of sauropods. Sauropods are a class of dinosaur—they are known as very large vegetarians with long necks and massive bodies. Diplodocids are regarded as a super-family of sauropods representing some of the largest animals that have ever lived on land. 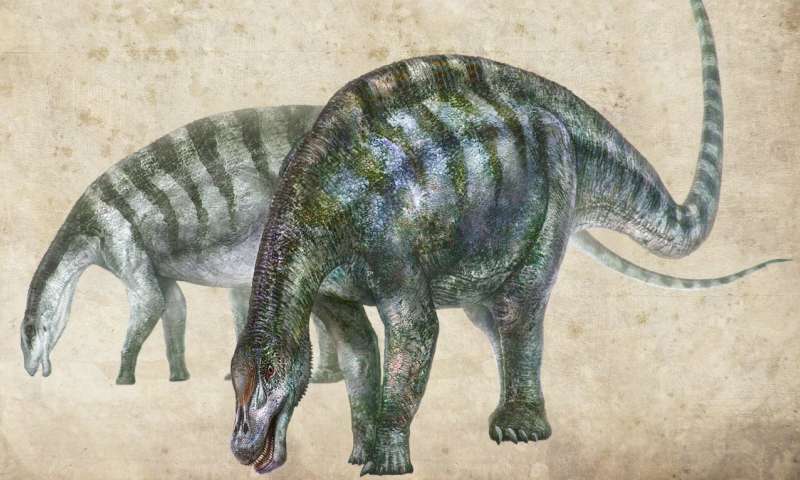 They have been classified as neosauropods because of their more recent evolutionary history compared to other sauropods. But their absence in eastern Asia suggested something had prevented them from moving into that area. But now, it appears that assumption is wrong. 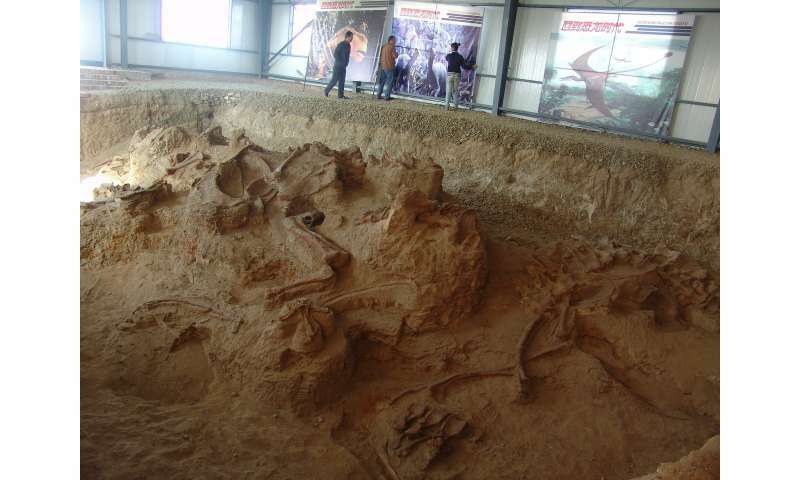 The researchers working at the Lingwu dig site in China found several fossilized bones, some of which belonged to a creature they named "Lingwulong shenqi," which translates to "Lingqu amazing dragon." Testing of the fossils indicated that they were from 174 million years ago, putting them in the Middle Jurassic. The find proves that diplodocids did exist in what is now eastern Asia, during the time before Pangaea broke apart. That means they had to have arrived at least 15 million years earlier than previously thought. The researchers report that when alive, the dinosaur would have been approximately 15 meters long—making it smaller than others of the same period found in other places. It would also have had the characteristic long neck and very long, whip-like tail. 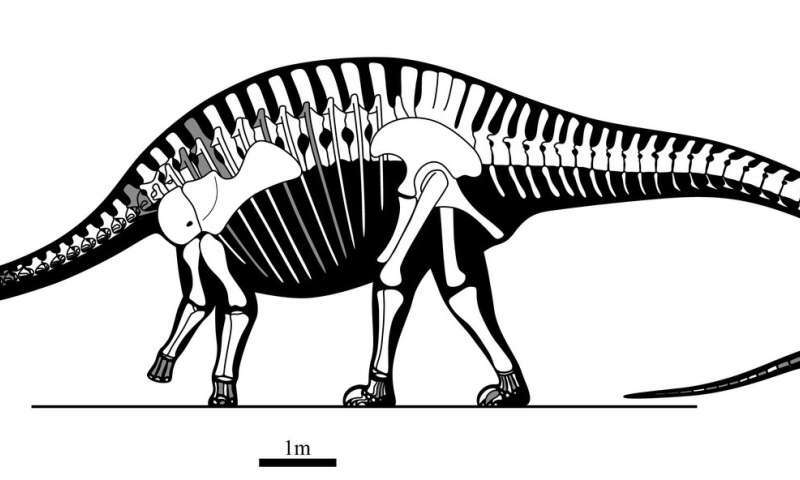 They suggest their finding will force a rethink of the history of sauropods, most particularly diplodocids. They also suggest the timing of the breakup of Pangaea played a bigger role in the evolution of sauropods than has been thought. They note that their find suggests the possibility of other sauropods living in the same vicinity prior to the breakup of the supercontinent. The fragmentation of the supercontinent Pangaea has been suggested to have had a profound impact on Mesozoic terrestrial vertebrate distributions. One current paradigm is that geographic isolation produced an endemic biota in East Asia during the Jurassic, while simultaneously preventing diplodocoid sauropod dinosaurs and several other tetrapod groups from reaching this region. Here we report the discovery of the earliest diplodocoid, and the first from East Asia, to our knowledge, based on fossil material comprising multiple individuals and most parts of the skeleton of an early Middle Jurassic dicraeosaurid. The new discovery challenges conventional biogeographical ideas, and suggests that dispersal into East Asia occurred much earlier than expected. Moreover, the age of this new taxon indicates that many advanced sauropod lineages originated at least 15 million years earlier than previously realised, achieving a global distribution while Pangaea was still a coherent landmass. Ahhh as a kid, my most favorite sauropod was the Diplodocus with its duckbill styled mouth/mandibles Beautiful animal.